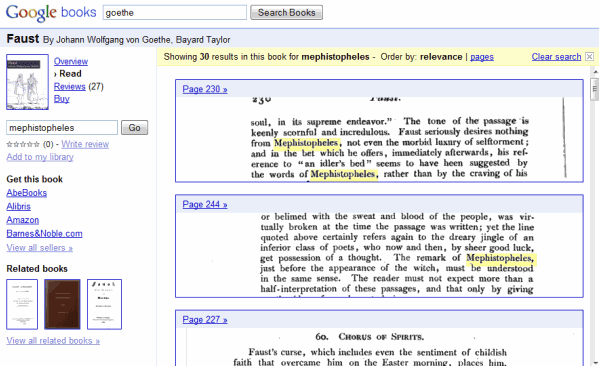 Google's book search engine has a new interface that adds many missing features. The sidebar has been moved to the left, you can now embed a book by click on "Link" and selecting the embedding code, there's a new thumbnail view for pages and the table of contents can be accessed as a drop-down. The search option that restricts the results to a book has been improved: Google sorts the results by relevance and it's easier to navigate betweeen the search results. 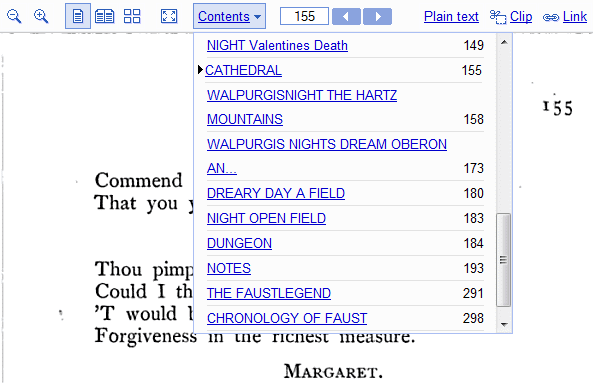 "Now, for public domain and partner books, we've made it easier to see exactly where your search term appears within the book by showing you more context around the term, including an image from the part of the page on which it appears. 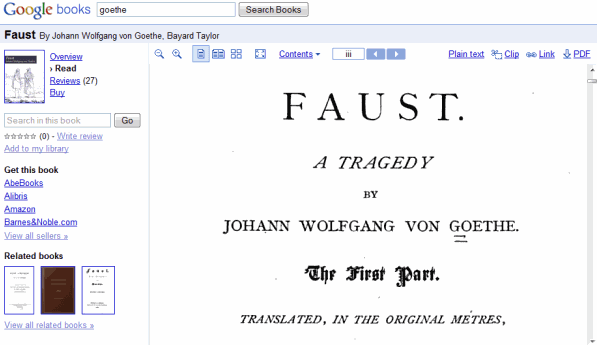 You can click on those images to navigate directly to the pages inside the book," explains Google.